A Ghost Story DVD and Blu-ray release date was set for October 3, 2017 and available on Digital HD from Amazon Video and iTunes on September 19, 2017. 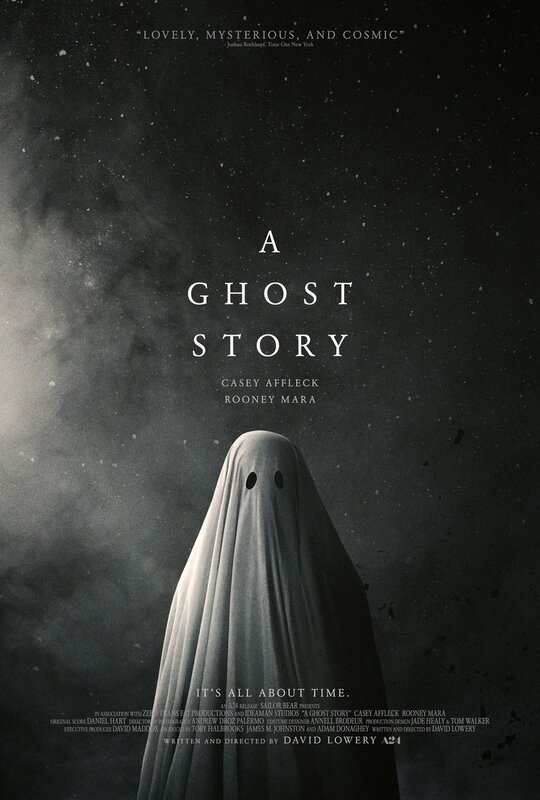 A Ghost Story is about love, loss and legacy. However, if you look deeper, it's also profound, poetic, and mysterious. It's a story about a woman who loses her husband and doesn't know how to cope. He's actually still there, but as a ghost under a white sheet. He watches her move on to another, but knows her heart is still bleeding for him. As a kid, she used to write tiny notes to herself. She would fold up those notes and hide them. That way, if she ever wanted to go back, there would still be a piece of her waiting. These tiny notes play a key role for those who enjoy looking beneath the surface.